Here I am with another jigsaw for you, but who doesn't love a jigsaw? My kids love them and have really been enjoying doing this one in the summer holidays. 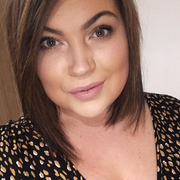 A late review I apologise, a lot of personal stuff getting in the way at the minute and I'm trying to keep going for everyone but sometimes you just need a little breather! 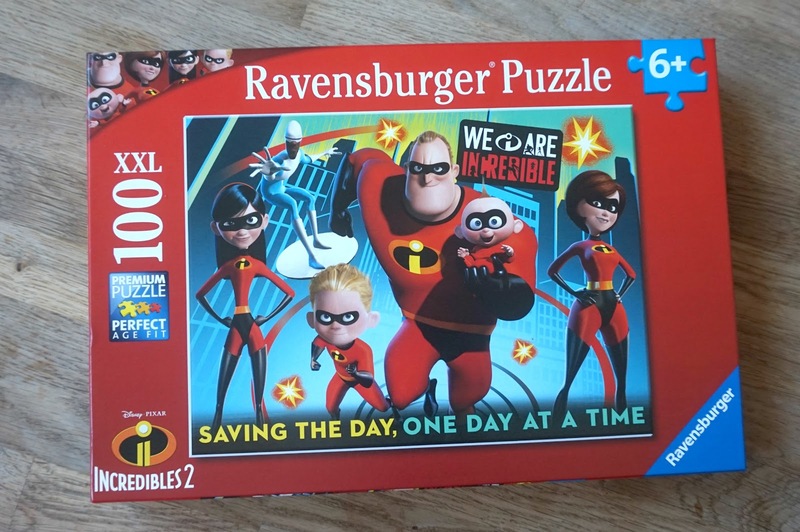 We had just that a lovely week away and whilst we were there we took this and watched the new Incredible 2 film, the film was amazing and got the kids even more excited to do the jigsaw. 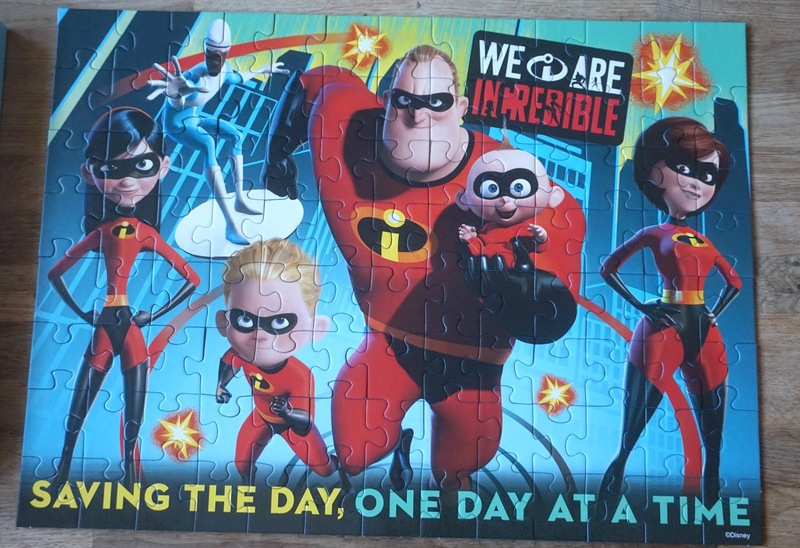 Both of the boys love Jack Jack, he was hilarious throughout the film, as the jigsaw is aimed at 6 year olds this is something I like to do with Oscar on my own when we get time to ourselves, he is getting so good at these 100 piece jigsaws and is becoming very independent at wanting to do them all by himself, I love getting involved with him but once I've helped him with his boarder he's like you can leave me to it now mom. Lawson also likes to help finding the edge pieces. 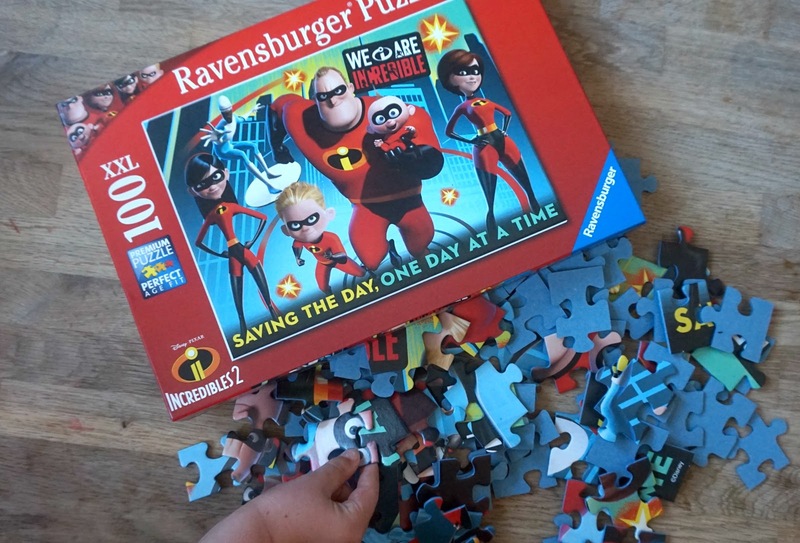 Theres not to much you can say about a jigsaw because it's pretty straight forward but Ravensburger have so many jigsaws to choose from that suit all ages and all imaginations and characters for everyone and would be a great investment for the summer holidays, birthdays and christmas's. 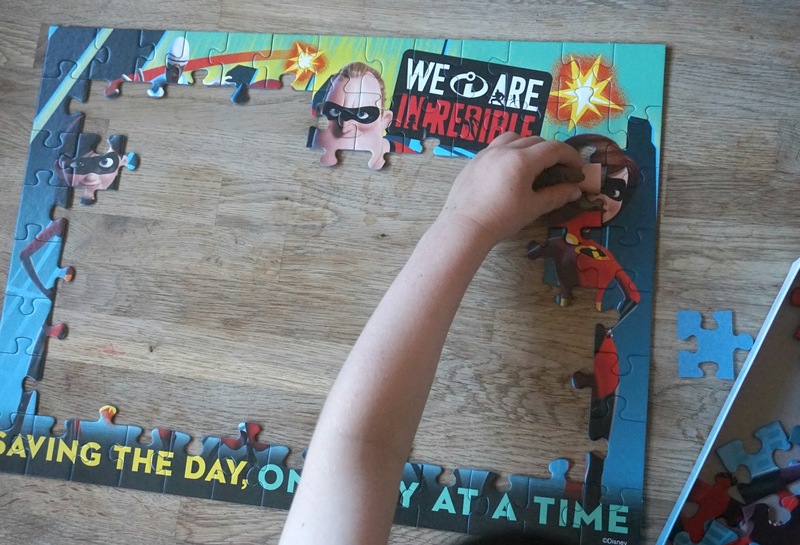 Sometimes its just nice to turn the Tv off and the rest of the technology and just sit down and do a jigsaw with your children or by yourself, a bit of me time and get their brains working whilst having fun. Let me know if you pick up your own jigsaw to enjoy.